Forget about all the excitement and anxiety, arrange your emotional unloading: the day is ideal for wellness treatments. 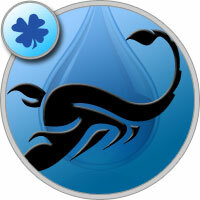 Scorpios health horoscope promises a relatively calm day. Plan it in such a way that you can spend the evening in a comfortable environment for yourself: do not overwork and do not gorge on the night. During the period of passage of the moon by the sign of Sagittarius, try to limit your activity. Refrain from long walks and increased workouts: the likelihood of fractures, dislocations and inflammation of the hip joints is high.